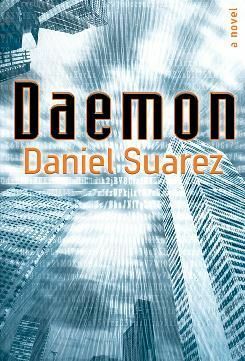 Just finished reading Daemon by Daniel Suarez. I really did enjoy it and must admit it was a page turner right up to the end. If anyone has already read everything by N. Stephenson and W. Gibson, this is a good substitute until the next one comes out. Well, I finished this book and I must say I was a bit underwhelmed. As a member of the technology workforce, a number of the topics and trends in the book weren’t new to me. Some original insights were presented, but all in all I was a bit disappointed by the book. With the number of people I have seen reading this and the apparent success in sales of the book, I thought it might be a little more earth shattering. Just finished reading Quicksilver (The Baroque Cycle, Vol. 1) by Neal Stephenson. It was a good read but it got a little slow at points. I am guessing that this book was a little slower because it had to set up the characters that are going to be relevant in the next two books. If you read an enjoyed Cryptonomicon you should find the book enjoyable. Just keep in mind there isn’t any of the computer techiness in this book, since it takes place during the 1600’s and 1700’s.